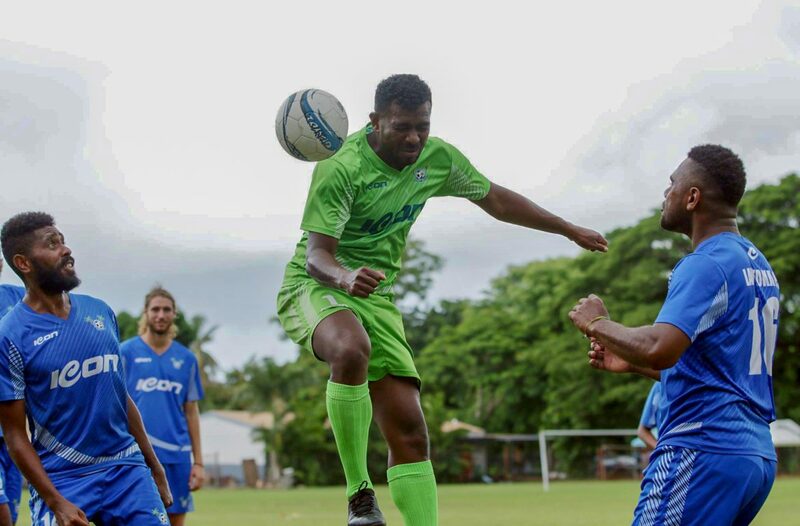 Two exciting Group B matches are set for Sunday at Churchill Park as the 2019 OFC Champions League group stage gets underway in Lautoka, Fiji. Debutants, Henderson Eels of Solomon Islands will be taking on Tahiti champions AS Central Sport in the opening match. Both teams are fairly new to the competition, with Central Sport making their second appearance and Henderson Eels their very first ever appearance in the Oceania premier international club competition . Central Sport are the Tahiti Ligue 1 champions while Henderson were runners up in the Solomon Island S-League finishing behind Solomon Warriors on goal difference. Having spent already a week to familiarise with the environment in Fiji, the coaches are feeling confident of their chances in the competition. Former AS Central player, now coach, Efrain Araneda said arriving early in Fiji is an added bonus for the team. “Well, I think we did have good week training, we arrived earlier in Fiji and it allowed us to work several details that we couldn’t before,” he said. “Today we’re all together, so, that allow us to work on the tactics”. When asked about the difference from their debut appearance, Araneda said they have a better team now compared to their ill-fated campaign in the 2017 Champions League. “Yes, I think it took few days in New Caledonia to get used to the idea of playing Champions League. “There was a lot of nervousness, a lot of desire, but I think this year is better, because everyone has already taste it. “For me, it’s my 5th, so as today, I think the team is better than the first time,” he explained. Araneda insists that he has limited knowledge of their Melanesian opponents ahead of the group opener. “Not having the chance to view footage form Henderson Eels is not ideal as we don’t know much about their tactical level of the team. “What we know is the quality of the Solomon players so at the end it will be a very entertaining game,” the AS Central tactician added. His opposite number, Henderson Eels coach Eddie Marahare said he is pleased with their preparation for this competition. “I am very happy with the progress of our preparation, we’ve been here since Monday, and the accommodation and the weather has been good,” he said. Henderson Eels is one of the two teams that are making their debut this year in the OFC Champions League and they’re both in Group B. “For a start it’s a bit nervous, but at the same time it’s exiting for the young boys and we’re looking forward to the first game on Sunday,” the Eels stated. Marahare highlighted the experience within AS Central ranks having studied the Ligue 1 champions ahead of the match. “I know they are from Tahiti and they got some national reps, about six players. I watched them on Wednesday when played a friendly match against Nadi. “I have been watching some of their videos, so I got a fair idea of how AS Central play their game,” the Eels tactician stressed. Later on match day one of Group B, hosts Lautoka will be eager to start their campaign on a high against another debutants FC Morobe Wawens of Papua New Guinea. The Blues have reached the finals last season after a return to the OFC Champions League and they would be keen to fancy their chances again on home soil. Lautoka have strengthen their squad after the departure of Vanuatu international Brian Kaltack who moved to Auckland City and New Zealand based Cory Chettleburgh is not named in the squad due to injury. New Zealander, defender Daniel Allan has be sign up by Lautoka from Hawkes Bay United and Vanuatu midfielder Bong Kalo completes the new recruitment for this season. Lautoka coach Kamal Swamy said they have learned from last season that preparation is the key to do well in the Champions League. “Well, I think we have been in the OFC Championship last year, then we prepared well and we knew how the games are so we prepared for the first game,” he said. Swamy admitted that playing at home comes with a lot of pressure but his players are well prepared to handle it. “Of course we have a lot of pressure and I think we played two local league games and we lost one. “There will be lot of pressure from our home crowd but the players won on this ground lot of championships so they’re well prepared for that,” Swamy added. Lautoka coaching team has done their homework on FC Morobe as Swamy stated they already have a game in place to take on the Papua New Guinea outfit. “We found out from few clips and know the players were in other teams now playing for their team. “We basically know how Island teams play, we’ve been in the national team and see how they play. They are very skillful, tactically they are very good and we have our plan to tackle those things,” the former Fiji national team coach stated. FC Morobe Wawans captain Fidelis Namuesh echoed despite being new comers to the competition, they are confident ahead of the clash with the hosts. “This is our first time at the OFC Champions League, for the last one month our preparation was good and we are now going to give our best,” he said.